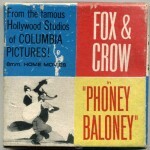 In honor of my appearance on today’s live broadcast of Stu’s Show (at 7pm Eastern, 4pm Pacific, if you miss it: archived downloads available here) where we’ll be discussing collecting 8mm films – and as a follow up to my post about Looney Tunes on 8mm last March – I present this gallery of cartoon home movie boxes for closer inspection. By no means a thorough survey, these images below are mostly gleaned from ebay photos I’ve collected – though a few are from my personal collection. 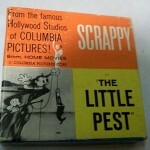 I’ll begin this post with my personal recollection of collecting these little films back in the day. First of all, kids, you need to know that I bought my very first projector back in the 1960s – long before cable TV, VHS, DVDs, You Tube and NetFlix. We were only exposed to cartoons on Saturday mornings and on weekday kiddie shows (and, if we were lucky, at the movies). If you weren’t watching while the cartoons were being shown, you missed them. Owning physical copies of cartoons wasn’t only impossible, it was technically illegal. 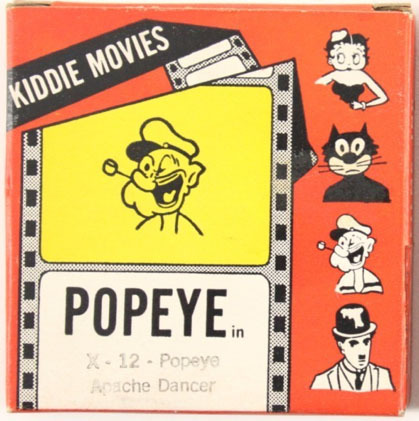 The one way we could watch cartoons over and over again was to buy “home movies”. 8mm (or Super 8mm) home movie films were expensive. And you needed a projector to play them. 8mm films and movie projectors were only sold in Camera Shops or in Department Stores (in the Camera Department). 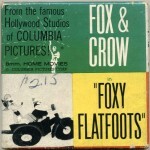 And the films were usually locked in a glass case behind the counter as if they were priceless objects – Abbott and Costello in “Have Badge Will Chase“, or “Double Cross at Criss Cross“; Woody Woodpecker in “Tree Medic“; Boris Karloff in “The Mummy“, and Lantz characters I’d never heard of: “Pierre Bear” and “Dynamo Doc”. 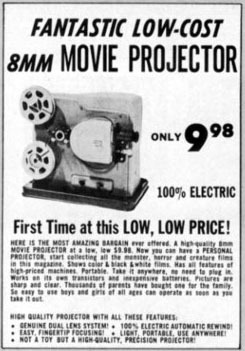 The first projector I bought was a $9.98 unit advertised in the back of Famous Monsters of Filmland magazine. I figured if Forry was selling it, how bad could it be? (And besides, it was all I could afford). But it was bad. How bad? First off, it was made of plastic (as opposed to metal); it used a tiny toy flashlight bulb for illumination; and worst of all, it could only run small 50 foot reels (3 minutes of film). 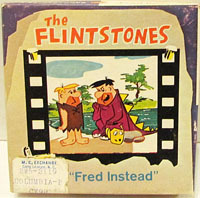 I recall my first film purchase was The Flinstones. It was silent, black and white, and the light from the tiny flashlight bulb was dim – but damn, I could watch The Flinstones anytime I wanted. At 4pm, at 9pm, or even at 3am in the middle of the night. I could study cartoons (with a magnifying glass) frame by frame. I could unlock the secrets of animation – and back in those days, before Facebook pages or animation fanzines, I felt like I was the only one in the world who cared. (An example of what my 8mm Flintstone film looked like is embed at the bottom of this post). 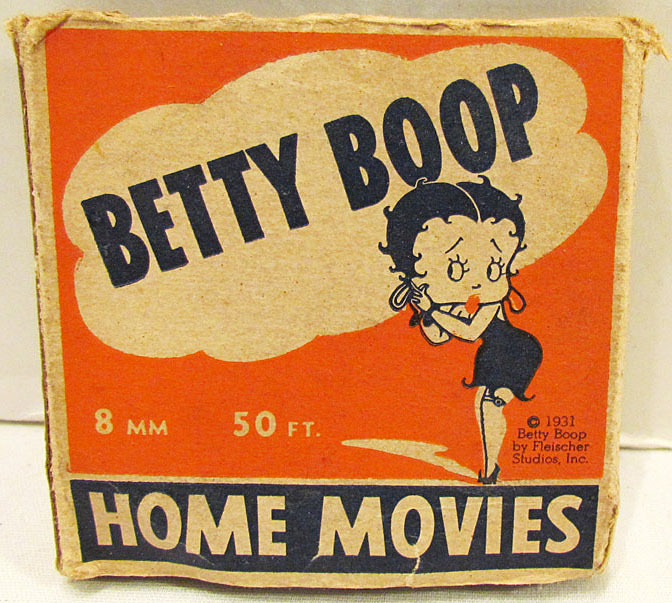 I bought many Betty Boop and Popeye reels, Walt Disney’s feature excerpts, Castle’s Woody Woodpecker films and sought out Bugs Bunny and Daffy Duck (those were hard to find in my neighborhood). By the time I got to high school, I was ready to graduate to 200-foot super-8 sound reels… but that’s when I discovered the underground world of collecting 16mm. And that’s another story. At the public library here, they had these displayed on a spinner rack and you could check them out like books. Because I grew out past this period, my public library did have 16mm prints I could borrow anyway, and I suppose it was rather strange for a 17-18 year old to be doing that, but I did! Those were wonderful times! I got into collecting film through a chance of meeting a friend of my brother who was into that as well, he hooked me up with “The Big Reel” and it all came to me! I was sad to learn years later that he took his own life, sad really, he had some great stuff in his stash. $9.98 in the 60’s is $60-$80 today. That ‘Kiddie’ Popeye rendering is freakazoid. What species is that, anyway? 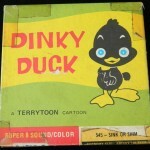 I had a small handful of 8mm toons back in the early 60s. Pretty sure they were all Lantz/Castle. Never saw Warner 8mm until I was an adult. Some Woodys, Fables, and a couple of Babyface Mouse cartoons, which I’m still waiting to see discovered and released. Stanch has gotta have a couple of those laying around somewhere, huh? Jerry, thanks for posting these! I had a hand-cranked Kenner Easy Show Projector which used 8mm cartridges (still have one, along with the Give A Show). I had films with Yogi Bear, Atom Ant, Bugs Bunny, Porky Pig, Huckleberry Hound, George of the Jungle, and Superman, among others. We got our first “real” 8mm projector sometime in the late ’60s, and I collected the usual titles from Castle Films, Ken Films, Columbia, etc. Among my very first films were 50′ cut-downs of Laurel and Hardy’s Helpmates, Another Fine Mess, and The Fixer-Uppers (!). Later in the ’70s, along with my Ampro 16mm projector, I had a beautiful Elmo Super 8 sound projector and collected many titles. I can’t remember my first, but it was definitely a Woody Woodpecker from Castle Films, maybe Who’s Cookin’ Who. 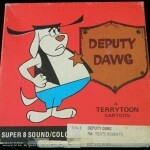 Once I discovered you could own your own cartoons, I sold my entire comic book collection. Later when I got a sound projector, I had a little device that would glue a tiny strip of recording tape onto the edge of the film, then I could record audio grabbed from TV. Sure beats using a cassette recorder and trying to hand-sync. 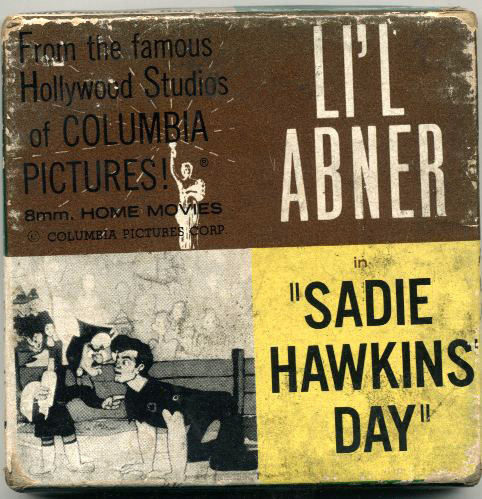 I remember owning Lil’ Abner, Brownie Bear, Little King, but my favorites were the WB and Disney. And also Ray Harryhausen, 7th Voyage was my first color purchase. 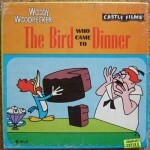 So here’s something interesting: my wife has a couple of $1.99 cheapo VHS “specials” of Woody Woodpecker cartoons that she bought at a discount store back in the early-90s, and one of the horrible drawings on the cover of one of the tapes is the same illustration that is on the “Bird Who Came To Dinner” 8mm box. What’s up with THAT…? As far from perfect as many home video releases are today, we have an embarassment of riches compared with the scene in the ’60s and ’70s. Even with the presence of Blackhawk Films and Griggs-Moviedrome, the 8mm market was treated like a toy market by Hollywood till the very late ’70s. I remember a mini-buyers’ guide published in “Film Collectors’ World”; the number of full-length short and feature-length cartoons barely covered a page or two, and most of that space was devoted to Blackhawk and Castle. The studios didn’t get serious about 8mm till they felt threatened by home video, and then there was a fast and furious avalanche of releases till they threw in the towel in the early ’80s (in the U.S.–the European market held its own for quite awhile). Yeah I noticed Europe got a lot to be thankful for in the 80’s like Italian-dubbed Japanese cartoons! I had some 8mm and super 8 films from Ken Films, Universal 8, Americom 8 (that came with the sound on a record! ). All of you guys remind me of EVERYTHING I used to do back then too, including trying to sync up my silent films with my tape-recorded sound from TV! That was the primary reason for today’s show – I surmised there’s still A LOT of us out there that are blood brothers when it came to collecting 8mm and Super 8/Super 8 sound home movies. It eventually got me into collecting TV shows on 16mm and my passion for preserving television history. So enjoy the show today – I was doing it mostly for me so I could talk about my childhood and the carefree days before I raised my family, found steady work and paid taxes…but I’m glad it’s for all of you too! My dad collected 16mm, but I still used to buy 8mm reels as my allowance permitted. It may have seemed a little silly, since I had access to the films he owned, but those 8mm films were MINE! Pride of ownership, perhaps, though I wound up inheriting his collection. He liked running films for the neighborhood kids. The Abbott and Costello Castle shorts were particular favorites with that audience. 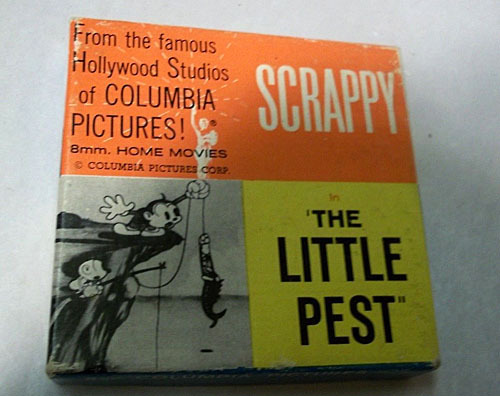 Collecting 8mm films was a hobby that is truly beyond the comprehension of younger generations, who cannot fathom the thrill of owning a silent, black & white Mickey Mouse cartoon that you could run in the privacy of your bedroom as many times as you wanted. We had an old standard 8 mm projector from the flea market that my dad repaired, as well as a standard 8 mm editing station (film cutter for splicing). My library had a nice selection of films to check out and I got to see the cut-down MUMMY & a longish version of Elmo Lincoln’s TARZAN (!!!) that way. I to this day that wish a decent print of the latter would surface somewhere. I have a bunch of 8mm Walt Disney movies and projectors. I was wondering of their value. All work great. That Flintstone short looks to be 25′; that was a common length aimed at kids with toy projectors. The Sears toy catalog would sell them in packs of three, each one on a 50′ reel. 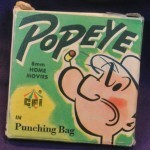 The Popeye box (“Punching Bag”) is an example. I spliced 3 Popeyes and 3 Betty Boops into a single 150′ “festival” on a 200′ reel. We got an ancient Kodak projector and started out with some Castle films and AAP cartoons; in time we upgraded to a self-threading model that took 400′ reels and I began collecting via retailers, Blackhawk Films and Sears (which put out a home movie catalog for a few years, heavy on Blackhawk offerings). Would mainly show to other kids at family gatherings; in junior high I was part of a light show enterprise and would add my funky old films to other projections. Sound (at home) was an eclectic stack of LPs on the record changer. Tried a library film with a soundtrack record; my projector’s fixed speed didn’t sync. Never got into 8mm sound; I just didn’t trust magnetic tape. My plan was to become independently wealthy and move up to 16mm, being very excited by the rental catalogs they had at school. Feature-length! Sound! Color! Adolescence distracted me — although I did buy the B&W silent “Star Wars” reel — and today the projector and films reside in the garage. Never saw any AAPs in color — or with labels on the reels themselves, as shown above. Surprisingly, I didn’t stumble across any Disney 8mm for a long time and assumed they didn’t exist. Eventually accumulated some color silent shorts and feature excerpts. Still remember how great the color looked on those. I don’t remember seeing 8mm AAP cartoons back in the day as shown here. I wonder how long or how widely they were marketed? 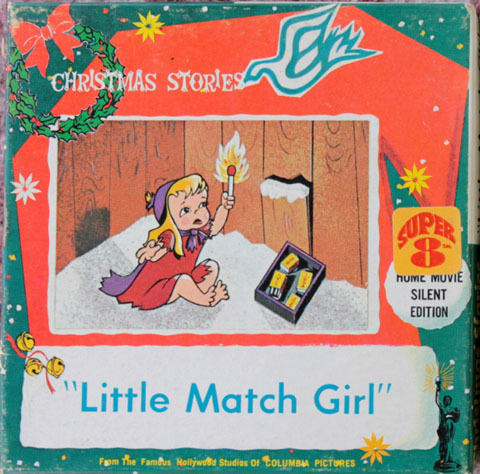 United Artists marketed Warner material on 8mm in the 1960s and ’70s through Ken Films. Those reels were easy to find. 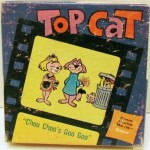 MGM eventually got into the 8mm field, very late in the game, offering Super 8mm color/sound prints of Tom and Jerry cartoons. They were very nice prints, as I recall. MGM also offered 400′ highlights reels of features like A NIGHT AT THE OPERA and THE WIZARD OF OZ. The Flintstones reel doesn’t look much worse than the torn faded 16mm syndication prints my local station showed when I was a kid. God remember when Department Stores had DEPARTMENTS? I do. The local YMCA where I grew up had a 16 mm projector and I remember we ran Laurel and Hardy shorts backward and forward to great giggles. The only cartoon I remember we owned for the Super 8 projector my family had was a Lantz Oswald silent b&w involving lions. When I went to USC film school the entry film making class circa 1982 involved making non-synch 8mm films and I had to take the class twice — just the 12 months or so that passed between my first try and finally passing the quality of equipment had taken a nosedive. The new splicing tape was horrible — about a third didn’t take. Much like typewriter ribbons once computers made them all but obsolete. The camera store I bought my 8mm camera and equipment is still in Highland Park north of downtown L.A., near a Gold Line light rail station! Sold all of it of course to a fellow student once I passed the class. I had a hand-cranked 8mm viewer with a Mr. Magoo film loaded in. You could really analyze frame-by-frame the (limited!) animation – loved it. There’s a new DVD out titled “Accidentally Preserved,” a collection of silent shorts that survived only as 16mm reprints for the home market. It’s mostly one-reel comedies, but one item is “Mechanical Doll,” an Out of the Inkwell cartoon which may not exist elsewhere. It begins with Max drawing Koko, who runs along a real-world phone line to a projection booth where the projectionist is waiting for him. Jumping into the projector and appearing onscreen, he draws a jointed girl doll, who does a clearly rotoscoped dance (Koko is also clearly rotoscoped). It looks like there were supposed to be intertitles that are now gone (but not necessary, except to explain a few closeups of Koko moving his mouth). Reminds me of the Fisher Price movie theater I had as a kid. Recently, my mom accidentally threw it ant the cartridges out while cleaning out my old closet back home. Fortunately, I found another one on ebay. Someone should do a book about these toy movie viewers. There were so many out in the 70s and the early 80s. I know I would buy it. Spotted one in a collectible shop that had a cartridge showing the rocket launch from Disneyland’s “Man in Space” episode. Always wondered about that, since the animation was sort of cool but it was hardly a hot title (clips from the famous “Lonesome Ghosts” and the like were also available). My first 8mm B&W Silent cartoon was Woody Woodpecker in Choo Choo Baby. 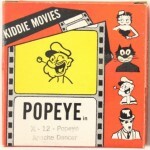 The ODDEST 8mm cartoons I had were 1960’s WarnerBrothers Cartoons in Super 8mm Color Sound. They came in plastic cases instead of cardboard boxes, the front swung out to reveal the reel inside. 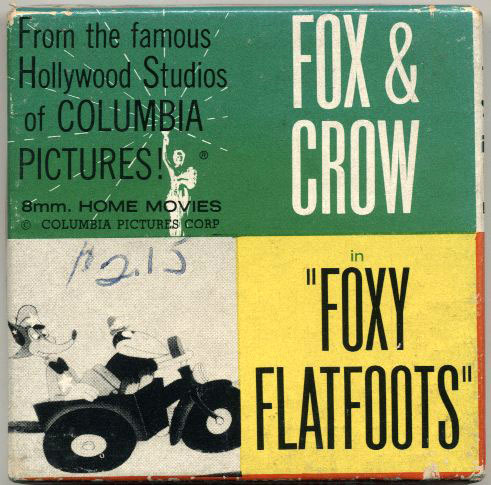 There was color artwork on the front & back of the film case. One of the titles I remember was BANTY RAIDS, and this was the first time I ever saw this cartoon. 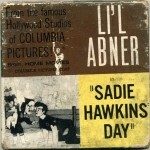 These home movie prints were made in Italy (with English Language) and marketed for Europe. I have no idea how they made their way to McKeepsort, Pennsylvania where I bought them. Sadly when I graduated to 16mm in High-school I sold all of my 8mm films, I wish I kept these unusual Warner Brothers cartoons. One of the titles I remember was BANTY RAIDS, and this was the first time I ever saw this cartoon. 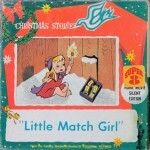 These home movie prints were made in Italy (with English Language) and marketed for Europe. I have no idea how they made their way to McKeepsort, Pennsylvania where I bought them. The departed pal I’ve talked about earlier had some prints like this. 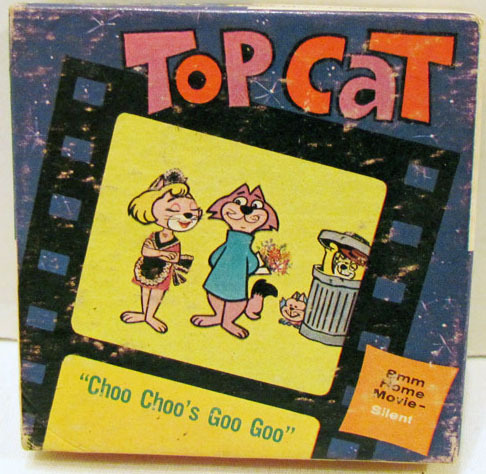 I recall he had “Go Go Amigo” spliced onto a long reel of other super 8 cartoons that had opening titles in German (might have had a Ufa logo at the start) though the cartoon itself audio-wise was in English. That kinda impressed me a little wondering were he got that. My folks found a hand held device in the early ’60s that ran on one or two AA batteries for the light and when the device was folded out,you could hand crank a reel,even though you had to hand crank it again to rewind,this was a very usuable device to see frame-by-frame annimation and to go forward and backward with relative ease(and without putting stress on the print,as it seemed to do when I used a conventional electric projector).A little tiring,but it was really well made and took a lot of punishment(I still have it,though I can’t find a bulb to illuinate the thing)A sick day from school became easier to get through, without having to look at Mom’s soaps or every game show till late PM cartoons came back on the tube.Also,with extended days off,it gave me a chage of pace from my View-Masaters. A prized Christmas present was the Castle version of Abbott & Costello Meet Frankenstein.I also had a highly edited(25 feet)Mister Magoo toon,as well as a few 50 foot Castle items(I have a catalog from around 1965 around here somewhere),a highlight reel from the 1964 New York World’s Fair and a Castle JFK memorial(no Zapruder stuff,pretty much newsreel footage)which ad a clip of a nuclear test that I ran forward & reverse over and over. Yeah, I had an editing station like someone mentioned above – hand cranked – and the ability to go back and forth at absolutely any speed was critical for me. I had been making some homemade animation, and when I discovered blurs, it was a revelation for my brother and me. My kids today can’t study a film that fluidly and intuitively with DVD or DVR. Also, to have read Walt Disney bio’s and finally be able to see *and study* an actual SIlly Symphony… it was just bliss! Thank you for bringing all that back. Directly on topic: in grade school, I made a little film box to hold my first home movie, to make it look professional and all. “Star Motion Pictures” was my imaginary film distribution company. Very small outfit. 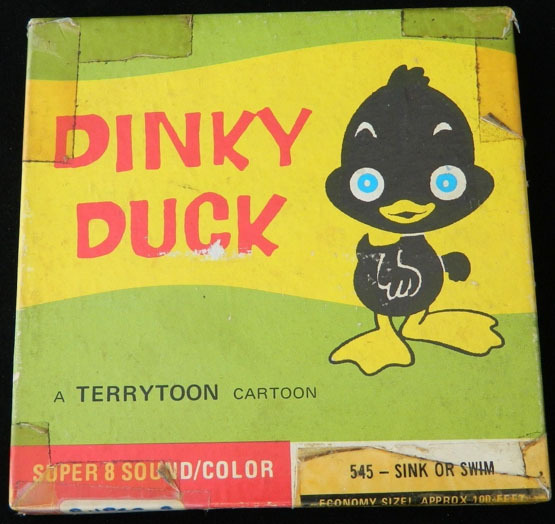 I remember the AAP 8mm cartoons in their little turquoise cartons (your photo didn’t show it, but the same sticker that was on the reel was also on the back of the box to ID the contents.) They were 100 foot reels, slightly edited from the original length. 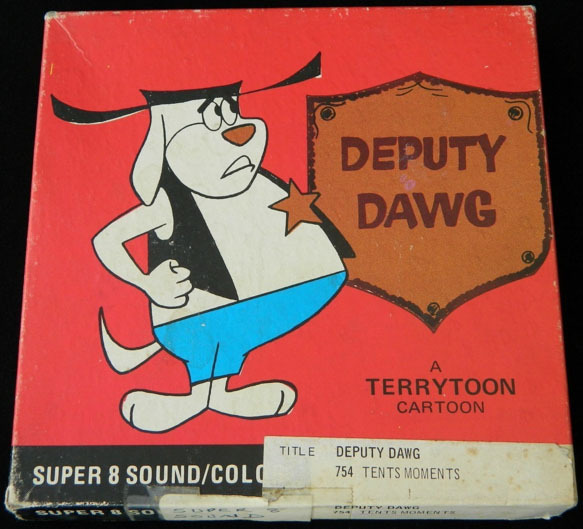 Ken Films, which had the Terrytoons for years, came in a box the same size as AAP’s 100 footers, but had only a 50 foot film inside, packed in a sort of cardboard collar. Coincidentally or not, Ken took over part of the AAP home movie line when United Artists closed their home movie division; their prints were never as good as AAP’s own, and they edited the 100-foot titles down to 50 feet in the same oversize box as their own releases. 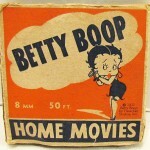 Atlas Films (also Carnival, Coast, and Brumberger) were grey-market prints of clips from Popeye, Betty Boop, Laurel and Hardy and Our Gang; they even had the “moxie” to put out pirate copies of discontinued Castle Films westerns as well! Nice article! 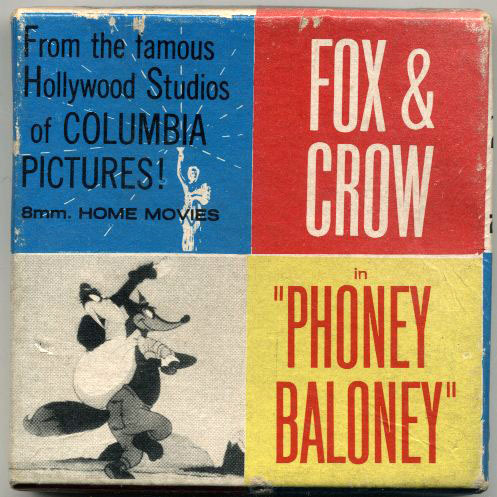 Let me say this, I have so many cartoons on 8mm and 16mm including a few “Looney Tunes” from AAP, and the entire 15 cartoons of the ComiColor cartoons by Ub Iwerks in black & white from Castle Films and they are all completely silent. After watching all 15 cartoons, the inter title cards appeared throughout the entire series are weird, because, half of it were good, but the rest doesn’t seem to follow the entire short. These were not as good as the original since people don’t owned sound projectors. I’ve uploaded a bunch of these to YouTube to show it to the users. I’ve seen the silent versions so many times and I don’t really get it. I rather watch the original versions a lot better than the silent ones. This was long after the silent era has died after the birth of sound films, and that was 1928 or 1929.